With all the freezing rain, sleet and snow we had yesterday here in Indiana, I was happy to stay inside and stamp the day away! Hard to believe I was walking outside without a jacket in 60° weather the day before! I'm still not ready to face the cold, so I'm planning on being hunkered down in my stamp studio again today. It's the perfect kind of day to put together the lovely new Lots of Happy Card Kit! 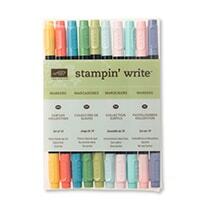 Lots of Happy 20-Card Kit—I love when Stampin' Up! releases a NEW all-inclusive kit and the Lots of Happy Card Kit is a really pretty one! It features an all-occasion stamp set, plus everything you need to create 20 all-occasion cards: 4 each of 5 designs! 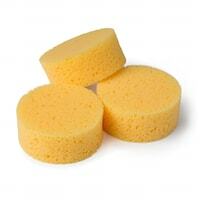 Perfect For New Stampers—Everything is included at a great price! 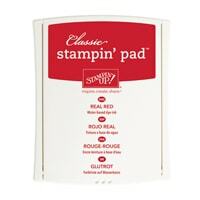 Convenient For Busy Stampers—Cards are ready to stamp & assemble! Grab the box & take it anywhere! 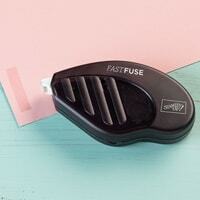 Great For Quick Cards—Sometimes you need a card right now! Make one in minutes! Fun For Sharing—Have a creative night with a friend or family member! 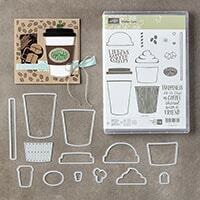 Great For Gifts—Makes a cool creative present for crafty friends & teens! 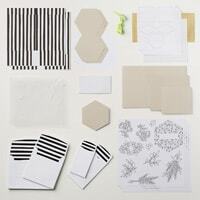 Lots of Happy Kit Contents— This is a truly all-inclusive card kit and an AMAZING value for only $35! It features the Lots of Happy stamp set; a clear stamp block; 20 pre-printed card bases & coordinating envelopes; giftable storage box; printed, gold foil & vellum die-cut accents; a Basic Black Archival Stampin' Spot; full-size Watercolor Pencils in Flirty Flamingo, Lemon Lime Twist, Old Olive and Rich Razzleberry; Lemon Lime Twist 1/4" Ombré Ribbon; Dimensionals and full-color instructions. Wow! The only thing you need is SNAIL adhesive! If you want the look of watercolor, rather than colored pencils, I also recommend adding a Blender Pen. 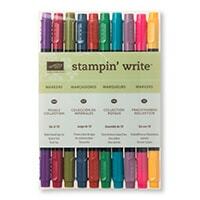 Lots of Happy Refill Kit Available—Want to make 20 more cards? Stampin' Up! 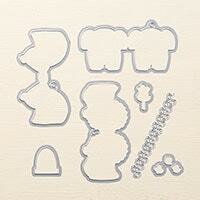 is also offering a 20-card refill kit with all the consumables from the original kit! Invite your friends over for a fun card party! Lots of Happy Stamp Set—I love the versatility of the Lots of Happy stamp set that's included with the kit! You've got sentiments covering all the basics and you'll be able to use them over and over again on your own projects! Let's take a closer look at the 5 different cards you can create with the Lots of Happy 20-Card Kit. You'll make 4 each of these pretty cards! 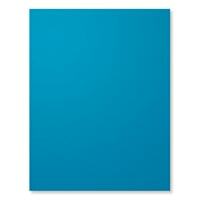 Deserve The Best Life Card—This is one of the two card styles in the traditional card size of 4-1/4" x 5-1/2". The card base is pre-printed in Sahara Sand. The background has pre-printed 3-3/4" x 2-1/2" and 3-1/2" x 5/8" die-cut layers creating a foundation for the focal point. Coloring & Watercoloring—The flowers are pre-printed and die-cut, so all you have to do is color them with the Watercolor Pencils that are included. They will give you a colored pencil look on their own, but the ink is soluble in water, so you can create a watercolor effect by adding moisture with a Blender Pen, Aqua Painter or paint brush. I like using Blender Pens the best, because they smooth the stroke lines well without adding too much liquid. Earn FREE Sale-a-Bration Item! If you purchase the Lots of Happy Card Kit, a package of Blender Pens and a SNAIL adhesive or refill, you'll hit that $50 mark and be able to select a FREE Sale-a-Bration item, too! I would totally recommend selecting the Lots of Lavendar stamp set, which coordinates beautifully with one of the cards! 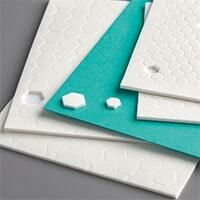 Thank You Hexogon Card—I love this adorable hexagon note card...how fun! Each card comes with it's own coordinating black & white lined envelope. While you won't be able to mail this smaller 3-1/2" x 4" card, it makes a lovely hand-delivered note or gift tag. Lovely Labels—The kit has die-cut label shapes with pretty gold foil borders, so you can stamp whichever sentiment you like on each card. Mix & match depending on the occasion and style of card you need! Coloring—The entire pre-printed card front can be colored on this one, along with the two little flowers that surround the sentiment. I love how the Flirty Flamingo and Rich Razzleberry colors look together! Gold & Ribbon Accents—Some cards feature the Lemon Lime Twist Ombré Ribbon and shiny Gold Foil die-cut banners. Vellum Leaves—If you look closely on each card, you'll see a layer or two of vellum leaves tucked under the focal point! It's a subtle accent, but adds some texture and elegance to these sweet cards! Happiest Birthday Narrow Note Card—I love this card because it gives you a little taste of some of the other amazing products that are currently available! 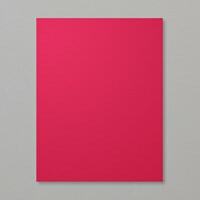 This 2-1/2" x 4-1/2" birthday card is the same size as the NEW Narrow Note Cards & Envelopes! It also features pre-printed flowers that look like the Lots of Lavendar Sale-a-Bration stamp set! And, the diamond label is same shape as the Tailored Tag Punch! It would be so easy to duplicate the look of this card! I love that the sentiments look great in both the Tailored Tag and circle punched shapes! Versatility! Here For You Card—The second full-size card has more pretty black & white stripes and large pre-printed blooms to color. I didn't do a lot of shading on many of my colored images, but I did layer add some Old Olive shading on my Lemon Lime Twist leaves on this card. Little Lots & Lots of Happy Mini Card—The last card is a mini 3-1/2" x 2" gift tag card with a cute little envelope. It would be so cute attached to a lovely bouquet of flowers! Absolutely darling! Lots of Happy Card Kit Tips—Check out the Lots of Happy Card Kit video to see the card kit in action! You'll get some helpful tips for assembly and coloring with the Watercolor Pencils. Earn FREE Sale-a-Bration Item! If you purchase the Lots of Happy Card Kit, a package of Blender Pens and a SNAIL adhesive or refill, you'll be able to select a FREE Sale-a-Bration item, too! I would totally recommend selecting the Lots of Lavendar stamp set, which coordinates beautifully with one of the cards! 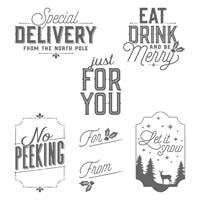 3x3" Note Cards Make Cute Holiday Gift Tags! Everything is a little cuter when it's in miniature! That's why 3x3" note cards are so adorable and perfect to use for little gift tags on Christmas packages! . Today, I'm sharing a couple of 3x3" notes that Peggy Tassler created for me to include in my recent class kits. I love the elegant & wintery combination of Night of Navy, White and Silver that Peggy Tassler used on these mini note cards! You can often use some of your leftover scraps to create these tiny masterpieces! Background Basics—Peggy started by embossing a 2-3/4" square of Whisper White with the Winter Wonder Texture Impressions Folder. She tied some white/silver Metallic Edge Satin Ribbon around that layer than mounted it onto a Night of Navy 3x3" card base. I recommend using Tear & Tape Adhesive for a secure hold on textured layers like this. 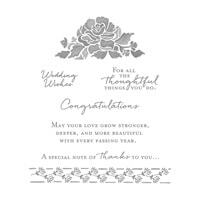 Sweet Sentiment—I wanted to use these notes as thank yous, so Peggy added a Floral Phrases sentiment in NIght of Navy onto a Whisper White Stitched Shapes Framelits die-cut. The word is part of a larger sentiment, so she colored it on the stamp with Night of Navy marker to stamp only that word. It's popped up with Dimensionals. Finishing Touches—Peggy die-cut some Silver Glimmer snowflakes from the Swirly Snowflakes Thinlits and attached them with Glue Dots. They are topped with Rhinestone Jewels. So, so pretty! Two Cool—Peggy stamped the stars from the Night In Bethlehem stamp set in White Craft Ink onto a 2-1/2" square of NIght of Navy card stock, then adhered it to a Whisper White 3x3" card base. She die-cut a circle window with the Layering Circles Framelits from a 2-7/8" square piece of Whisper White, then popped it up over the stars with Dimensionals. 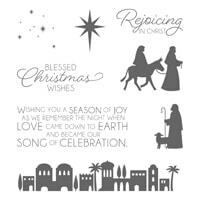 Finishing Touches—Peggy stamped the Mary & Joseph image in Night of Navy onto Whisper White, then die-cut it with the Bethlehem Edgelits. Part of the die-cut is popped up and part is adhered to the window with SNAIL. She finished with a Silver Foil star, also die-cut with the Edgelits set. Apply Host Code AKPENVFC at Shopping Cart. Shop Now! I'm getting so excited about hosting a booth at the Deer Ridge Holly Days craft fair on Saturday! I hope my local stamping friends can come out and visit me between 9am and 3pm! It's a HUGE craft fair with LOTS of awesome holiday gift ideas! Today, I'm sharing one of my craft fair projects that is new for me this year...a hot cocoa gift mug! I was excited to make this project because I couldn't wait to try out my new Hug In A Mug stamp set! What better way to warm a friend's heart this holiday season than to give them a cute hot cocoa gift pack?! These mugs contain everything needed to make a yummy cup of hot cocoa, and they're packaged up with an adorable hand-stamped gift tag! This will make a fantastic holiday gift for teachers, co-workers & friends! It's easy to throw some hot chocolate ingredients into a mug, but it's the tag that really dresses up a gift like this! Truly...it's all about the packaging that makes this gift special! Cocoa Contents—I filled my mug with a pretty Land-o-Lakes Hot Coco packet (not those plain Swiss Miss ones! ), a mini candy cane, a little packet of Marshmallow Bits and a handful of Hershey's Kisses. Mug Basics—I added a little tissue paper at the bottom of the mug and added some shredded paper over the top to create "basket" that would display the contents a little better. The mug is wrapped up with 6" x 17" Gusseted Cello Bags from Stampin' Up! I cut off about 3" of the top of the bag before putting the mug inside, then tied it up with some matching retired ribbon. Terrific Tag Layers—I LOVE how these tags turned out! I started with an Island Indigo Lots of Labels die-cut, then layered on some retired doilies to look like a snowflake layer. I die-cut a Dazzling Diamonds scallop circle using the Layering Circles Framelits, then popped that up with Dimensionals. Sentiment Circle—I stamped the Hug In A Mug greeting in Bermuda Bay ink on one side of the Whisper White circle, die-cut with the Layering Circles Framelits. Underneath, I stamped little decorative lines from the same set in Real Red, Island Indigo and Pool Party, then popped up with Dimensionals. Marvelous Mug—I stamped the outline of the mug in Smoky Slate onto Whisper White, then stamped the solid inside in Pool Party. It's decorated with a little snowflake from Hug In A Mug in Island Indigo. 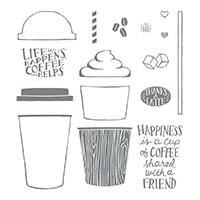 I love the little coordinating images that help you "fill" your cup! I stamped the marshmallows in Island Indigo and the candy cane in Real Red. Then, I hand-cut the entire cup with my super-sharp Paper Snips and popped it up, too! I finished by adding Rhinestone Jewels to the mug and around the sentiment. Attaching The Tag—I punched a hole at the top of the tag with the 1/8" Hand-held Punch, then tied the tag onto the gift with some White Baker's Twine. Two Cool—This color of mug reminded me of our old Mint Macaron, so I used that as my main color. Mint Tag—I used a similar design for this tag, but stamped a different Hug In A Mug sentiment in Island Indigo at the bottom this time. I also used a different mug shape, stamping the color in retired Mint Macaron and cutting out a Real Red stamped heart to decorate the front of it. So sweet! Three Cool—Here's another version in Real Red, and I did similar styles in Cherry Cobbler & Whisper White. 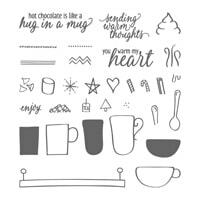 Hug In A Mug—The third sentiment in the stamp set was PERFECT for this gift. It was a little different shape, so I had to re-design a little for this tag. 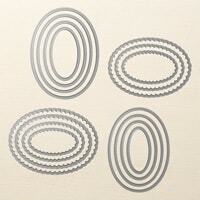 I changed the circle background elements to ovals with the Layering Ovals Framelits. Then, I stamped the sentiment in Early Espresso onto a 5/8" wide strip of Pear Pizzazz. I like the little bit of green with this red design for a more traditional color combination. Which color combination do you like best for the décor on this project? Let me know in the comments below! 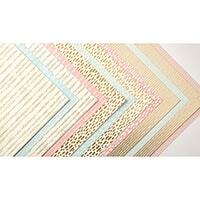 Buy 3, Get 1 FREE Designer Series Paper! Shop Now! 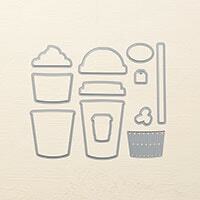 It's the final day to register for my September Stamp-of-the-Month class featuring Coffee Café! My basic kit comes in the stamp set, but if you already have this amazing set, you can either substitute a different stamp set or order my cards-only kit! Today, I'm sharing some cute little coffee gift card holders that we'll be making with the class kit! How many Starbucks gift cards do YOU give throughout the year? For many, it's the gift card of choice for friends, teachers, neighbors & co-workers! The Coffee Café stamp set could not be more perfect for creating coffee gift card holders! For the Coffee Café Stamp-of-the-Month class kit, I designed a cute gift card holder that can be slipped inside a card, hung on a package or wine bottle, or even added to the front of a card as the focal point. Class participants will make two of these holders with the kit. Gift Card Holder—I created the base of the holder with a 7-1/2" x 2-3/4" piece of Pear Pizzazz card stock. The size allows you to make 4 tags from one sheet of card stock! I used the Simply Scored tool to score the piece at the 2-1/2" mark to make the pocket fold. For the decorative top, I slipped the top of the tag under the cutting side of the largest Lots of Labels Framelit. The rest of the card stock comes up through the framelit and rests on top of it, so only the one side is under the cutting blade. I secured the pocket closed with Tear & Tape down each side. TIP: There is just enough room for the gift card if you keep the line of tape flush with the edge as much as possible. Pocket Background—I adhered a 2-5/8" x 2-1/4" piece of Coffee Break Designer Series Paper on the pocket for the background. I embossed a 2-5/8" x 3/8" strip of Crumb Cake card stock with the Pinewood Planks Dynamic Embossing Folder, then adhere it with more Tear & Tape. Sentiment—I stamped the Coffee Café phrase in Early Espresso (of course!) onto Whisper White card stock, then punched it out with the Everyday Label Punch. It's popped up with Dimensionals. I also stamped the coffee beans image in Espresso and die-cut them out with the Coffee Cups Framelits. It's popped up with Mini Dimensionals. Tiny Coffee Cup—That mini coffee cup image is cut from the Coffee Break DSP using one of the dies from the Coffee Cups Framelits. I love that Stampin' Up! included a die to cut out this unique image. I used a Soft Sky marker to color in the cup for a little more color on the image. It's adhered with SNAIL onto the label. Ribbon Topper—I punched a 1/4" hole at the top of the tag to thread through some about 6" of 3/8" Soft Sky Classic Weave Ribbon. If I were to do it over again, I think I would have used the 1/8" Handheld Punch, so less "hole" would be showing. 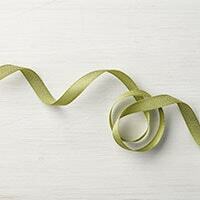 TIP: If you want to hang the tag on a gift, you would want to cut the ribbon a little longer. I secured the ribbon by tying some Linen Thread around it into a bow. Two Cool—The second gift card holder is pretty much the same, but it begins with a Soft Sky base. I featured the other mini coffee up image from the DSP here and topped the tag with Old Olive 3/8" Mini Chevron Ribbon. Look how this color combo matches a winter-themed Starbucks card! I love when everything coordinates beautifully! See Complete The Carols of Christmas Class Details! Register For Carols of Christmas Here! Hurry! Registration Closes September 12! When You Host a $300 Workshop or Order! Learn more! Merry Little Labels Mini Pizza Boxes For Cookies! Anything "mini" is always cute, and nothing is more adorable in the Holiday Catalog than the Mini Pizza Boxes! Oh my! They just may be my favorite new item of the season! Today I'm sharing a fun little pizza box package that I created as a little gift for my Too Cool Team members last month. It was so much fun to make these little gifts using the ultra-versatile Mini Pizza Boxes and décor items from the Merry Little Christmas suite of products! I would bet that these gift boxes are the most popular item from the Holiday Catalog, so far! Mini Pizza Boxes—Don't let the photo fool you! 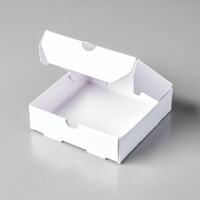 These tiny pizza boxes are only 3-1/2" x 3-1/2" x 1" in size! They come 8 to a package and fold up without adhesive just like a real pizza box! 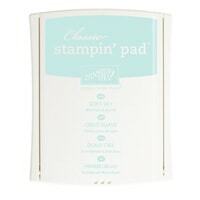 Best of all, the inside has a food-safe protective coating and the outside is plain, smooth and oh-so-stampable! Just think of all of the awesome things you could put in here! They were designed to hold a set of 3x3" notes & the mini coordinating envelopes that Stampin' Up! just brought back! But you could also fill them with candy, jewelry, money, a gift card and much more! Because it was food-safe, I filled up my team's gift boxes with a delicious double chocolate chip mint cookies from the Cookie Cottage, a local favorite! Yummy! Box Belly Band—I wanted the recipients to be able to open the box without ruining the packaging, so I created simple belly band from the Merry Little Christmas Designer Series Paper. I cut a 3" x 12" piece and added a line of Fast Fuse Adhesive on the end that was overlapping the other end of the DSP. I wrapped it around the box tight enough to be secure, but loose enough that it could easily slip off and on the box. Altered Belly Band—One thing I love about the Merry Little Christmas DSP is that you can alter the patterns that are black & white! I needed additional colorful patterns for my boxes, so I simply sponged on some Old Olive ink onto the white background on this tree design. It really makes the paper stand out! 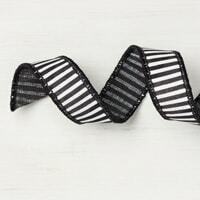 Wire Ribbon—The black & white 7/8" Striped Ribbon is awesome! 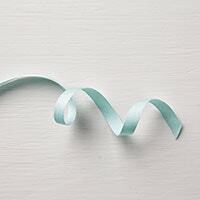 It's a wire-based ribbon, so it's ideal for bending into beautiful bows on packaging! I tied my ribbon into a double-knot and gave it a little bend for a nice faux-bow. 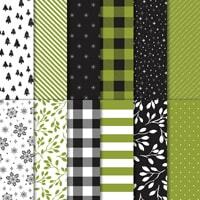 Here is another example of Old Olive sponging on the snowflake patterned Merry Little Christmas DSP. Here's one more with the black & white plaid. I can't wait to try adding other colors to these papers! Too Cool! And, did you notice that with many of these Merry Little Christmas papers aren't strictly for Christmas? You can use the plaids & stripes for any time of year! Terrific Tag—The Mini Pizza Box is decorated with a sweet tag created with the Merry Little Labels Bundle! I stamped the Merry Little Labels image in Old Olive onto Whisper White card stock, then punched it out with the coordinating Everyday Label Punch. I think that punch is a keeper—the perfect replacement for the retired Decorative Label Punch! The black mat layer is cut with the Lots of Labels Framelits! 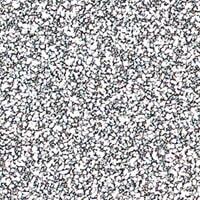 Look how those shapes layer together so beautifully! Bundle It & Save—Purchase the Merry Little Labels stamp set and Everyday Label Punch together in a bundle to save 10% off the cost of ordering them separately! Finishing Touches—I finished up with two cool new embellishments! 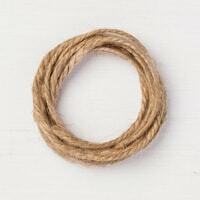 First I punched a 1/8" hole at the top of the tag, then I threaded through some new Jute Twine and tied it in a knot around the striped ribbon. I couldn't resist giving the tag a little sparkle with the new Black Rhinestones! I love this new color choice for bling! September Host Code—Don't forget that you can receive a FREE package of Black Rhinestones when you place an order with me in September using the Host Code: G7QEPMPR. View the Holiday Catalog PDF! • Shop the Holiday Catalog Online! Many years ago I collected teddy bears, so today's sweet swap card from Jackie Ross really appealed to me. I have all the details below! But first, I wanted to share a photo my husband took of me when we were canoeing at Lake Chetek in Wisconsin. Ahhh! So relaxing! The sky was so pretty that evening. We had beautiful weather all last week and lots of fun tubing and kayaking on the lake. Any of my stamping friends enjoying some time on a lake this summer? Awwww...this little honey bear is totally adorable! 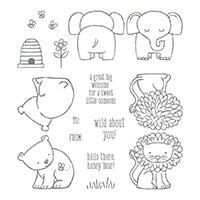 The A Little Wild stamp set is a unique collection that creates cute little tags, perfect for baby shower gifts, kids Valentine's projects and more! 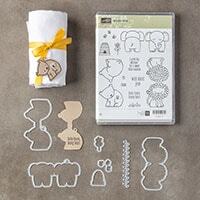 The set coordinates with the Little Loves Framelits that die-cuts mini tag cards for the bear, lion and elephant. Super cute! Bundle It & Save—Purchase the A Little Wild stamp set and Little Loves Framelits together in a Bundle and save 10% off the cost of purchasing them separately! Background Basics—Jackie used the pretty new Bundle of Love Specialty Designer Series Paper for the background of this card. She cut a diagonal section from a 4" x 4" piece of the pretty gold pattern and adhered it to a Crumb Cake card base. I love this paper pack! It's designed with new babies in mind, but it's lovely detailed patterns are versatile enough to use for all kinds of occasions! One side of the papers are in either Blushing Bride or Soft Sky, and the opposite sides are all Very Vanilla with gold foil! LOVE it! 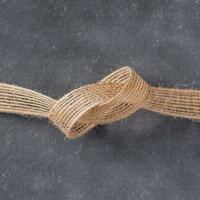 Jackie added a strip of 5/8" Burlap Ribbon along the bottom edge of the paper. Watercolored Label—The A Little Wild sentiment, bee hive, bees and grass were all stamped in Memento Black Ink onto a Lots of Label die-cut from Watercolor Paper. I love the way Jackie watercolored the background with a very light touch. Looks like she used an Aqua Painter, along with some Soft Sky, Pear Pizzazz and Crushed Curry ink pads, to add that soft color. The label is popped up with Dimensionals. Sweet Bear—Jackie finished the card by stamping the A Little Wild bear in Memento Black onto Crumb Cake and die-cutting it with the coordinating Little Loves Framelits. She added just a hint of Crumb Cake color with an Aqua Painter to give the bear a little shading. He's popped up with more Dimensionals. Paper Pumpkin BOGO—Buy 1, Get 2nd Month FREE thru October 10! 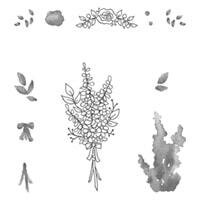 October Stamp-of-the-Month Kit—Featuring Paisleys & Posies. Projects & Pizza Night—October 14. 6-10pm. Casual Stamping at my studio. Projects & Pizza Night—October 20. 6-10pm. Casual Stamping at my studio. "Last Thursdays" Monthly Card Class—October 27. 6-10pm. Casual Stamping at my studio. Today, I've got another quick & cute card for you today featuring the cozy patterned designed from the Warmth & Cheer Designer Series Paper Stack! But first, I wanted to share with you how excited I am to be trying something new this year! I'm going to be participating in three craft fairs in the SW Fort Wayne and Columbia City areas and I'd love for you to come out and see me! I'll be selling my handmade greeting cards, treat holders, gift card holders & other adorable stocking stuffers. Too Cool Stamping 2016 Craft Fair Dates—Mark your calendar! The Warmth & Cheer 6x6" Paper Stack is perfect when you want to make a whole stack of holiday cards! I love the beautiful flannel plaid images and you get 4 sheets of each of 12 double-sided designs for a total of 48 sheets! In other words...you get lots of choices for mixing & matching! This particular stack has lots of patterns in the traditional Cherry Cobbler & Garden Green Christmas colors, too! CASEd from Ronda Wade at Stamp With Ronda. Background Basics—This card starts with a 4" x 5-1/4" piece of Garden Green card stock layered onto a Thick Whisper White Card stock base. 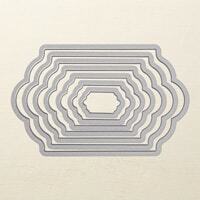 Have you tried the Thick White Card Stock? 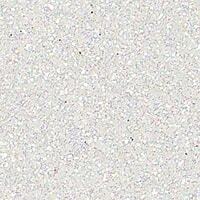 If you're using white as the base of your card, the Thick Whisper White Card Stock is AWESOME! It's heavier weight provides a very nice, very sturdy, high quality base. Traditional Whisper White was designed to be thinner with a smooth surface so that you could achieve crisp stamped images, but it isn't as sturdy as even the colored card stock. 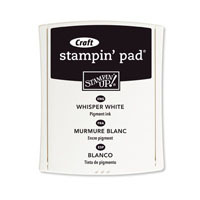 Once you try the Thick White Card Stock, you won't want to have a white card base without it! DSP Details—I added a 2" x 5-1/4" strip of Warmth & Cheer DSP on the background. That means you can get 3 pieces out of a 6x6" sheet, or 12 pieces of the same pattern! So cost-efficient! Scallop Tag—I punched the end of a 2" x 4-1/2" piece of Whisper White with the Scallop Tag Topper Punch to create a tag foundation. Tag Décor—The bottom of the tag is decorated with a 2" x 1/2" strip of Gold Glimmer Paper. The pine tree is created by die-cutting the shape with the Perfect Pines Framelits from a coordinating design of the Warmth & Cheer paper. It's popped up with Dimensionals. Sweet Sentiment—I stamped the banner greeting from the Time of Year exclusive host set in Garden Green ink, then die-cut it with the Bunch of Banners Framelits. It's adhered to the tree with SNAIL. Finishing Touches—I stapled a strand of Gold Sequins to the top of the tag with the Handheld Stapler. Unfortunately, just this week, we learned that the stapler is being discontinued as soon as the inventory is depleted. 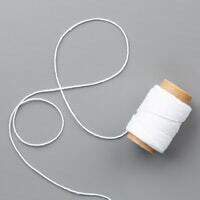 I tied a Whisper White Thick Baker's Twine bow that's adhered with a Glue Dot. Finally, I die-cut a Gold Glimmer star with the Perfect Pines Framelits and popped that up with a half Dimensional to top the tree. The whole tag is also popped up onto the card front. Two Cool—For my second version, I swapped out the Warmth & Cheer DSP and adhered the tag to the other side of the card front. Pre-Paid Registration Due By October 12, 2016—Sign Up Today! Stamp-of-the-Month Class—Featuring Birthday Blooms. Details coming soon! Occasions Catalog Samplers—Sample all the papers & accents in the catalog! Sale-a-Bration Celebration Exclusive Event—Earn this FREE April event! Browse The Occasions Catalog—All-new stamps, papers & accents! Browse The Sale-A-Bration Brochure—Earn FREE items with every $50 order. 3-Month Paper Pumpkin Subscription Sale—$55 plus FREE Sale-a-Bration item. Michelle Hoover and I are putting the final touches on our Catalog Kickoff Party that happens tomorrow! There are 2 LAST-MINUTE SPOTS available for this event! The first two to contact me can join us! Here are the Kickoff Party Event Details! Today, I'm sharing another one of the 20 cards we'll be creating at tomorrow's event! CASEd from Kelly Acheson at A Stamp Above. 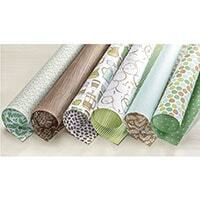 My favorite Designer Series Paper in the Occasions Catalog is hands-down the Birthday Bouquet DSP! I love the combination of the sweet flowers and birthday treat images in the soft Pool Party, Blushing Bride and Mint Macaron colors. Idea Sheet—I've created a handy, printable, one-page instruction sheet for this card with all of the supplies, measurements & step-by-step instructions listed. Simply click on the link below and save to your computer! Background Basics—This card starts with a 5-1/8" x 3-7/8" piece of Pool Party that's embossed with the Softly Falling Texture Impressions Folder and adhered to a 4" x 5-1/4" mat of Mossy Meadow card stock. I added a 2-1/4" x 5" piece of the Birthday Bouquet DSP to the left side, then mounted all the layers on a Whisper White card base. Terrific Tag—I created a quick & easy tag by punching the top of a 2" x 4" piece of Whisper White with the Scallop Tag Topper Punch. I stamped the line of hearts image from Birthday Blooms three times near the bottom of the tag in Blushing Bride ink, then added a sparkly 2" x 1/4" strip of Brushing Bride Glimmer Paper along the edge. Amazing Accents—I love the combination of the glitter and shine on this card! I attached a 6" piece of Blushing Bride Sequin Trim at the top of the tag with a Glue Dot, then added a Pool Party Glitter Ribbon bow over the top with another Glue Dot. .
Two Cool—I changed to a different, yet equally beautiful, Birthday Bouquet floral pattern for the second card. 3 Ways To Earn FREE Sale-A-Bration Goodies! Shop! Select a FREE SAB item for EVERY $50 you spend! Shop Online! Host! Earn $25 extra Hostess Dollars for your $250 workshop or individual order! Contact me to schedule your private class or online catalog party! See regular Stampin' Rewards. Join! Select $30 additional items with your $99 Starter Kit—that's $155 in items, plus FREE shipping! Join Now! See The Sale-A-Bation Brochure For Details! Learn how you can EARN this exclusive FREE event when you Shop, Host & Join during Sale-a-Bration! Try Paper Pumpkin For 3 Months—Only $55! Plus select a FREE Sale-a-Bration item, too! Offer good now thru March 31, 2016. Order Your 3-Month Paper Pumpkin Subscription! Stamp-of-the-Month—Features Peaceful Pines. Register by Nov. 15. Rescheduled: Nov. 24. Stamper Sampler: Holiday Card Stamp-A-Stack—November 12. "Last Thursdays" Card Class—Rescheduled: Thusday, November 19. One of my favorite holiday party host gifts is a nice bottle of wine. Too Cool team member Peggy Tassler shared a quick & cute idea for dressing up your wine bottles with a holiday tag card! See all the details below! Mark Your Calendars For Upcoming Classes! Local Class: Tuesday, Nov. 24, 6:30pm. Registration Closes on November 15! Kit includes Peaceful Pines photopolymer stamp set, a 1/2 pack of 6x6" Merry Moments Designer Series Paper Stack & all the pre-cut supplies and instructions needed to create 6 Christmas cards! Contact Me To Register Up by Sunday, November 15. Buy 3 Stamp-of-the-Month Classes, Get $5 off the Next Class!—See details. Peggy Tassler brought this fun projects to our "Anything But A Card" holiday swap last month and it was a hit! Not only does it decorate a wine bottle, or in my case a Bailey's Irish Cream bottle (also a great gift), it provides plenty of room to write a little holiday message. It's a tag and a card all in one! Tag Basics—Peggy's project starts with a 3-1/4" x 11" piece of Pear Pizzazz card stock that is scored at the 4" and 7" marks to create three panels. Tag Tree Décor—The front of the tag is decorated with the Peaceful Pines tree, stamped in Pear Pizzazz ink onto Whisper White and die-cut with the Perfect Pines Framelits. It's popped up with Dimensionals over Island Indigo and Silver Glimmer ovals die-cut with the Ovals Collection Framelits. Sweet Sentiment & Accents—Peggy trimmed the bottom of the front panel with a 3-1/4" x 1/2" strip of Silver Glimmer Paper, adhered with Tear & Tape to the back of the tag. The Petite Pairs greeting is stamped in Island Indigo onto Whisper White, punched with the Large Oval Punch and popped up with Dimensionals. She topped the tree with a 1/8" Silver Ribbon bow. Tag Back—The back of the tag is decorated with 3-1/4" x 1/2" strips of Island Indigo card stock across the back and Silver Glimmer Paper extending the bottom. 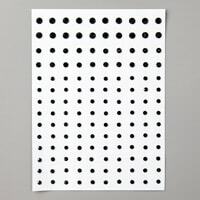 Wine Bottle Hanger—The hole that goes over the neck of the wine bottle was die-cut with the Circles Collection Framelits using the third smallest circle. Peggy gave the hole a finished look with a ring of Whisper White card stock created with the third and fourth smallest Circles Collection Framelits. Tag Card Inside—There is plenty of room to write a message to the recipient. Peggy added a 3-1/4" square of Whisper White and stamped it with the coordinating Petite Pairs sentiment in Island Indigo ink. The strip of Island Indigo card stock is 3-1/4" x 1/2". The white strip at the bottom is actually the backside of the Silver Glimmer Paper. Thank you, Peggy, for sharing this fun & fast gift packaging idea! I'd Love To Hear From You! Leave me a comment at the bottom of the page! Countdown To Christmas Series—November features Flurry of Wishes. Paper Pumpkin Turns Pink—Stampin' Up donating for every subscriber by Oct. 10. Extra Stampin' Rewards—$300 workshop earns you 15% rewards. I like to add a little something extra in my class kits to thank participants for attending the class or ordering the class-to-go online. Today's project is the little thank you I added to my Embellished Ornaments class kits last week! I created a cute tag using the same stamp set the attendees received in their class kit, the Embellished Ornaments set. I like to give them extra fun ideas for using their new products! Tag Basics—The base of the tag is a piece of Blackberry Bliss card stock measuring 2" x 5-3/4". I punched the end of it with the Scallop Tag Topper Punch. The 2" x 4-1/4" piece of Whisper White was stamped with the holly leaves image. I used Mossy Meadow & Rich Razzleberry markers to color directly on the stamp before stamping onto the card stock. 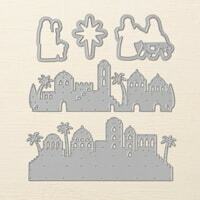 Ornament Die-Cut—I die-cut the Delicate Ornaments shape first with the solid framelit in Blackberry Bliss. Then, I cut the intricate Delicate Ornaments shape from the Gold Foil. 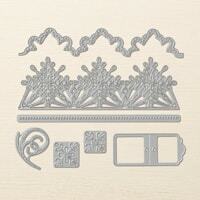 TIP: I like to use the Precision Plate for these intricate die-cuts for best results. I attached the two layers together with a couple of Glue Dots. I finished the ornament with a die-cut Gold Foil hanger, also adhered with Glue Dots. The ornament is popped up with Dimensionals over the holly background. Sweet Sentiment—I stamped the Happy Scenes greeting in Blackberry Bliss onto Whisper White card stock and punched it out with the Washi Label Punch. I added a Dimensional under one side of the label and SNAIL under the part that overlapped the ornament. Tag Topper—I finished the tag by adding two layers of ribbon, Rich Razzleberry Into The Woods Cotton Ribbon and 1/4" Whisper White Cotton Ribbon through the tag hole. They are secured in place with a Gold Cording bow. 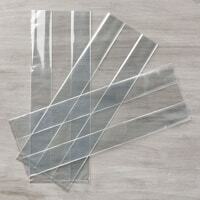 Complete Supplies List—"Clear mount" is a rubber stamp to be used on a clear acrylic block, "Photopolymer" is the see-thru style of stamps, also used with acrylic blocks.